"Provide a concluding statement or section." In this exercise your students will colour code the key components of an example informative paragraph. This resource will help your third graders organise their ideas into a cohesive, informative paragraph. 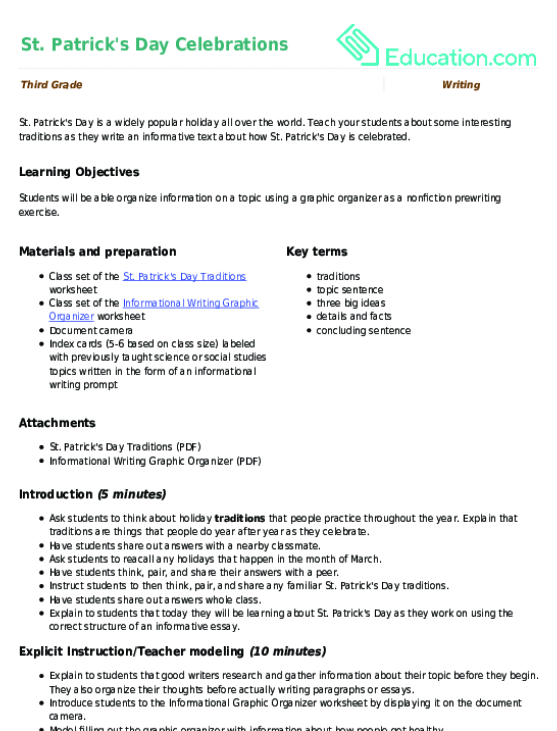 This resource gives your students practise organizing facts and details in an informational essay or paragraph.